A Black-throated Green Warbler perches in a tree in Danbury, Conn., spring 2016. Oh, and there’s a few warbler shots at the end of the post that I took this year and had already posted. You can never have enough warbler photos. 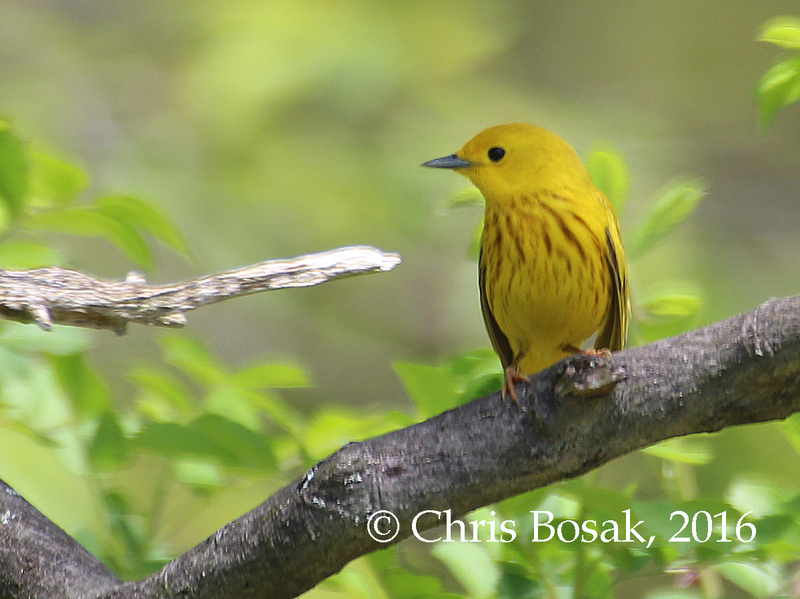 A Yellow Warbler perches on a branch in Greenwich, Conn., spring 2016. 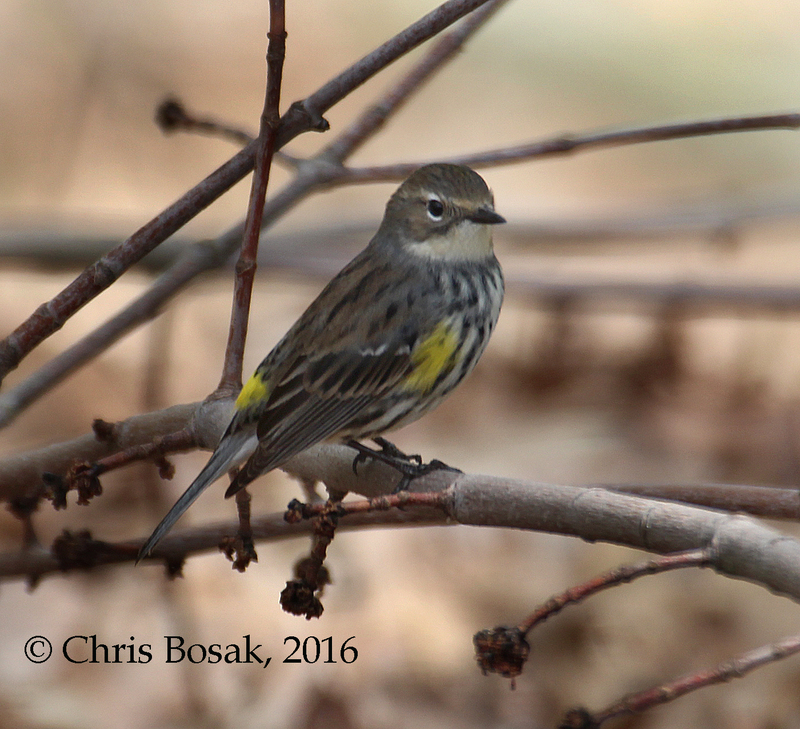 A female Yellow-rumped Warbler perches on a branch in Danbury, Conn., spring 2016. 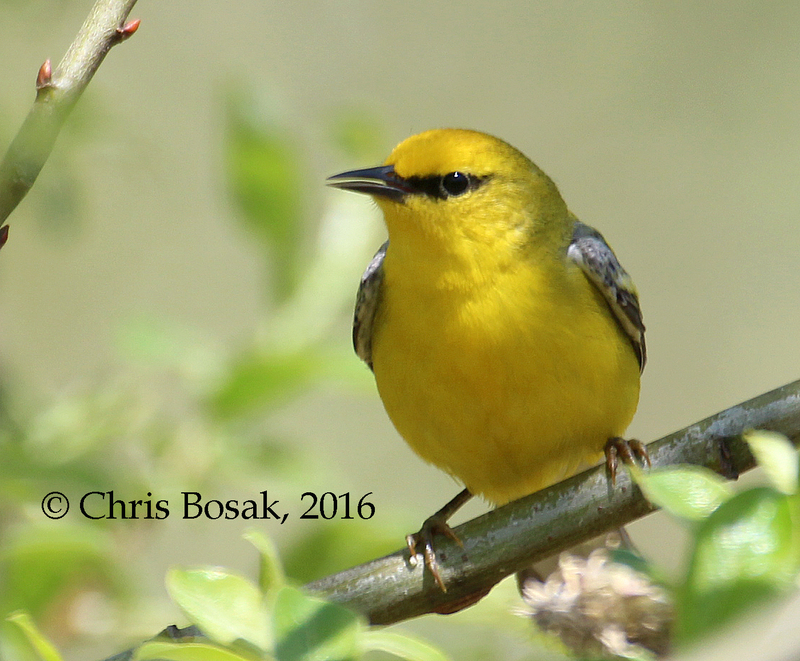 A Blue-winged Warbler seen at Fairchild Wildflower Sanctuary in Greenwich, Conn., May 2016. 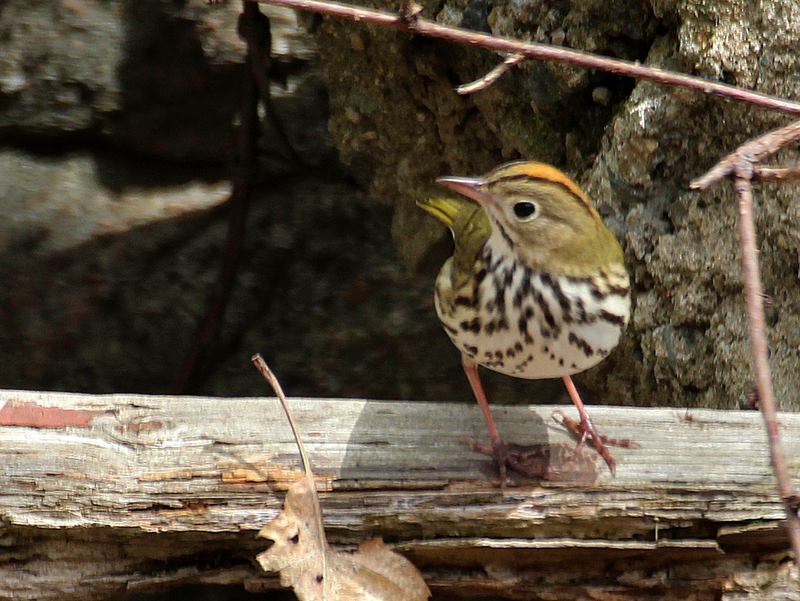 An Ovenbird stands on a log in Danbury, Conn., April 2016. 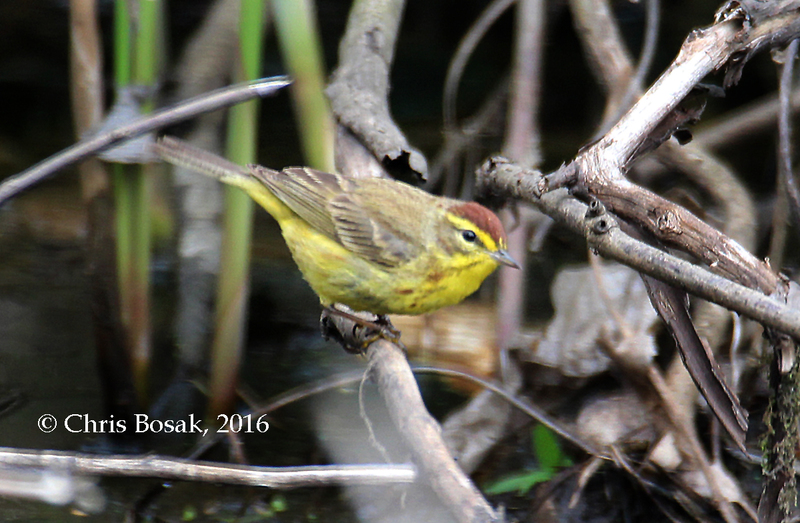 A Palm Warbler perches on a branch near a pool of water in Selleck’s Woods in Darien, Conn., April 2016. 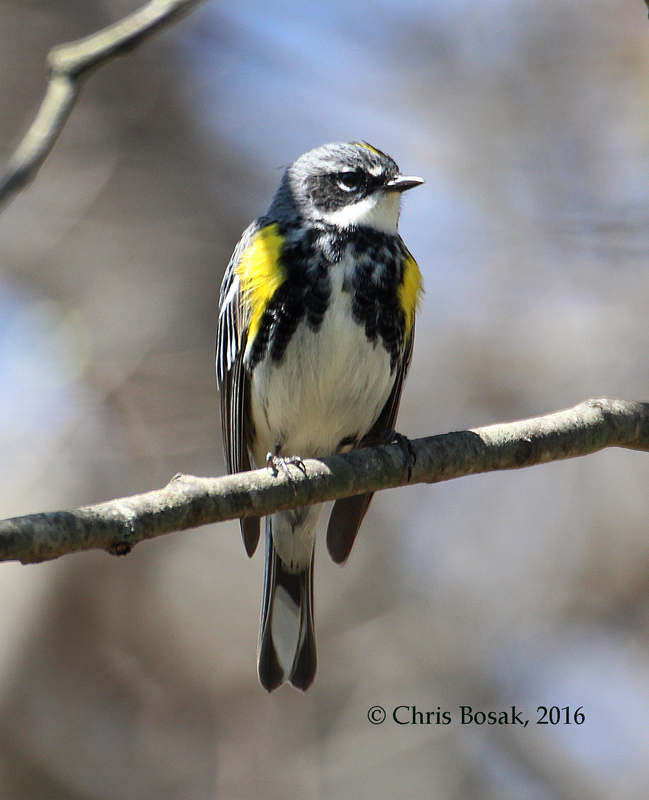 A Yellow-rumped Warbler perches on a branch in Selleck’s Woods, Darien, Conn., April 2016. Hooded Warbler in Danbury, Ct., spring 2016. 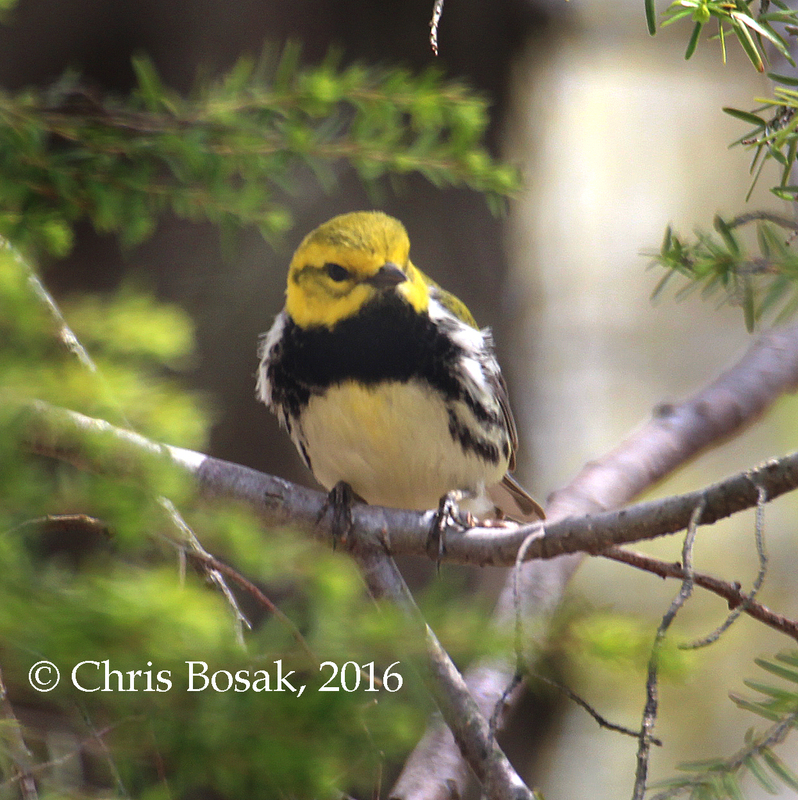 So far, early in this warbler season, Yellow-rumped Warblers are by far the most abundant species. That is true pretty much any year, but this year that really seems to be the case. I’ve seen only a handful of the other typical early arrivers — Pine Warblers and Palm Warblers — but dozens of Yellow-rumpeds nearly everywhere I go. 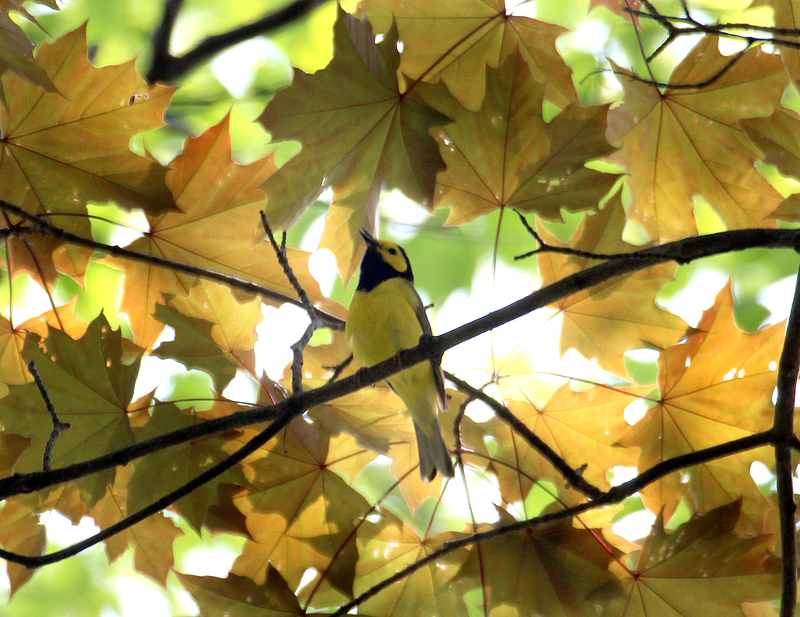 I visited my old favorite spot Selleck’s Woods the other day and Yellow-rumped were everywhere I looked. I also saw a Palm Warbler, two Brown Thrashers and an Eastern Towhee — but Yellow-rumpeds were the dominant species. Not that I’m complaining. How can you complain about such a beautiful bird? Stay tuned for more warbler photos (I hope so anyway). 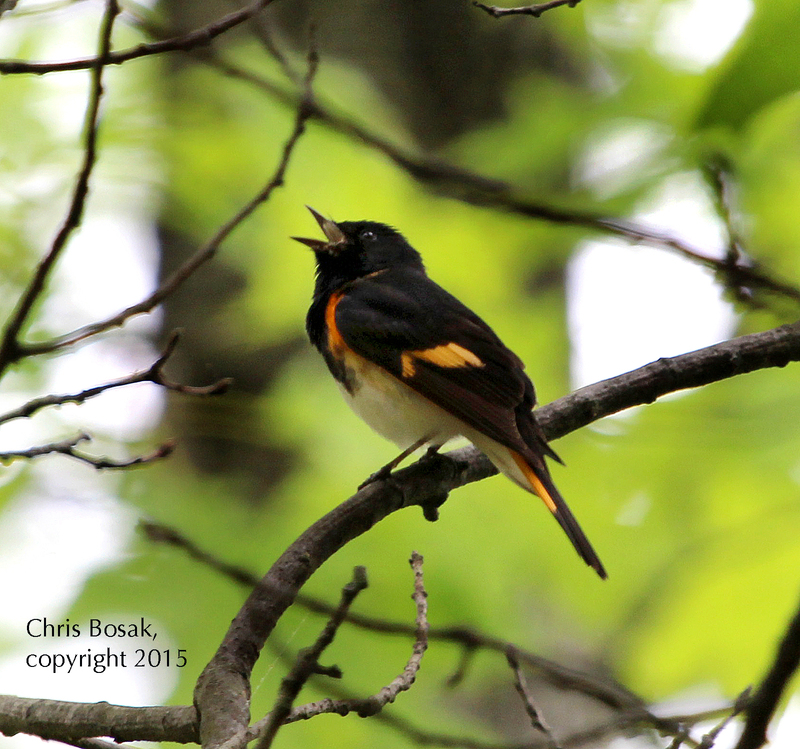 An American Redstart sings from a perch in Selleck’s and Dunlap Woods in Darien, Conn., May 2015. 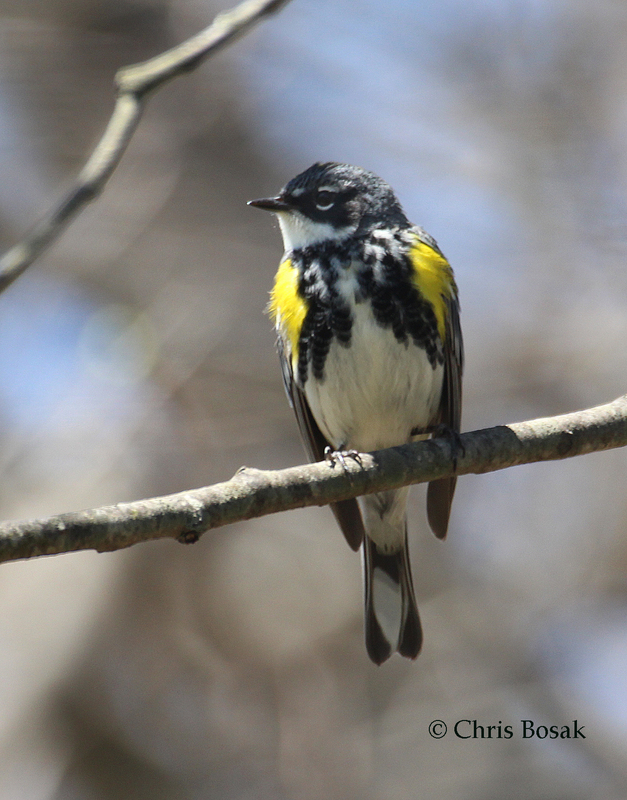 Here are a few photos of some late migrating warblers I took Monday at Selleck’s and Dunlap Woods in Darien, Conn. The warbler migration still has some strong days ahead, but don’t wait too long if you haven’t been out there looking for them yet. 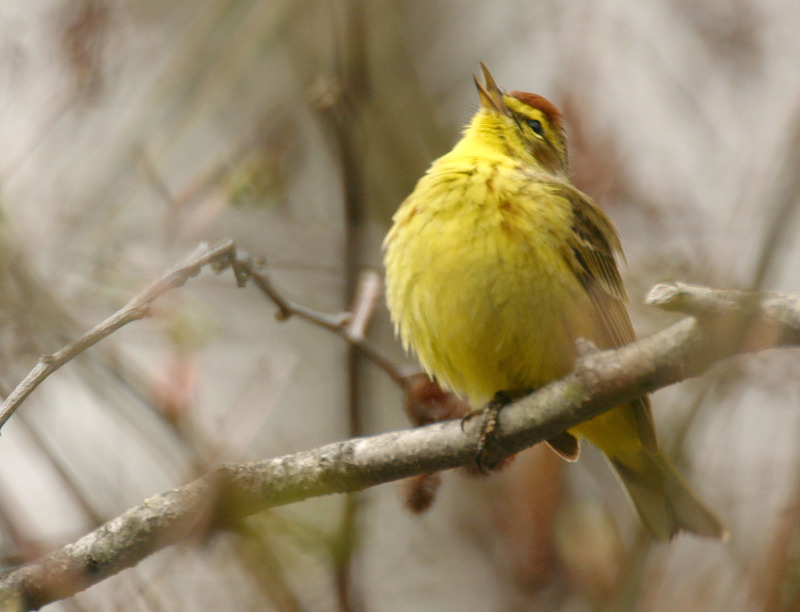 The warbler migration in New England winds down as the month of May winds down. Let me know what you’re seeing out there. 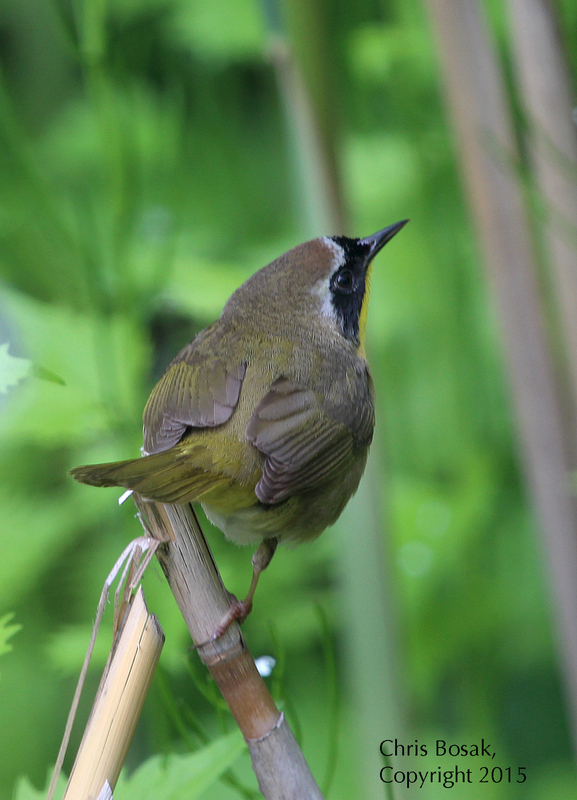 A Common Yellowthroat perches on a broken stalk at Selleck’s and Dunlap Woods in May 2015. The title of this post is a bit misleading because warbler season actually arrived a few weeks ago. But there early warblers are still around and the next wave hasn’t arrived in force yet, so the topic is still timely. 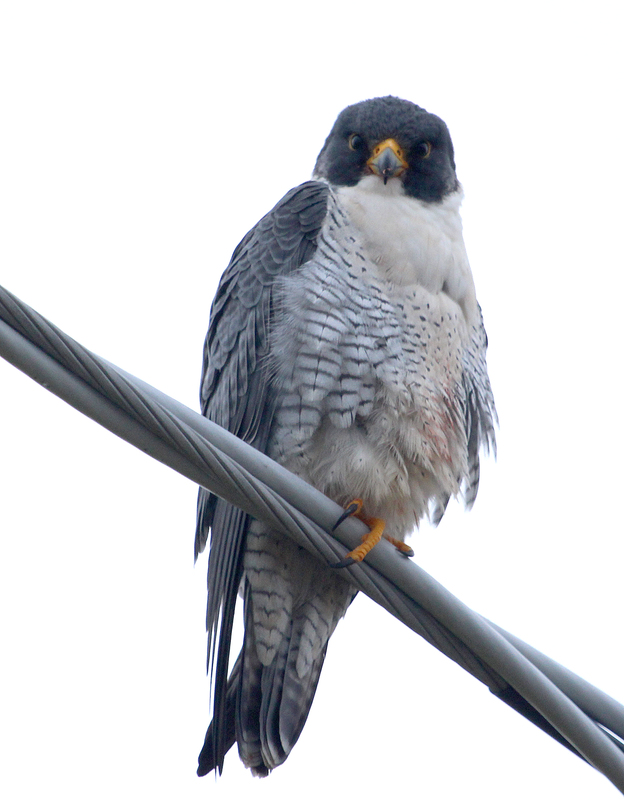 Peregrine Falcon at Veterans Park in Norwalk, Conn., seen during the 115th Christmas Bird Count. The weather was actually quite nice (cold, but calm) and the birds were plentiful. A story about the Christmas Bird Count (Westport Circle) is posted on http://www.theour.com. Here is the answer to the mystery warbler in the previous post. Click “continue reading” to see the answer. If you haven’t seen the photo yet, scroll down a bit and take a shot. Thanks to everyone who played along.